Listen: Caelin Briggs in conversation with Stephen O’Doherty. Moving back home from a massive, crowded refugee camp sounds like a good idea right? Well, not always, as it turns out. Humanitarian and civil society agencies working in Rakhine State in Myanmar and in the Rohingya refugee camps in Bangladesh are deeply concerned about the planed repatriation of refugees back to Myanmar. Rohingya refugees have repeatedly expressed a great deal of fear about going back. 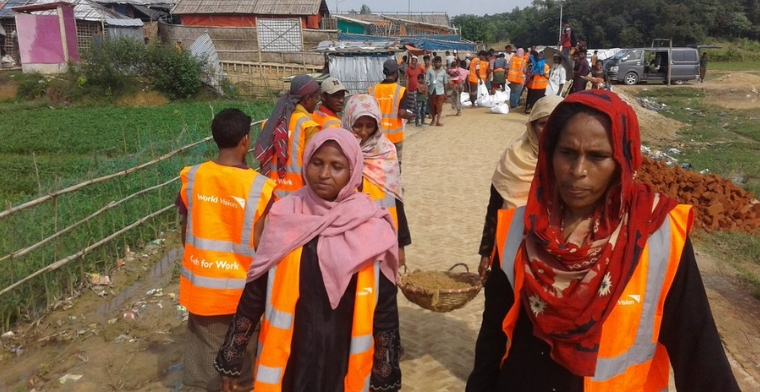 On the day the forced repatriation was expected to start, the World Vision team on the ground in Cox’s Bazar refugee camp reported that fear was taking hold. 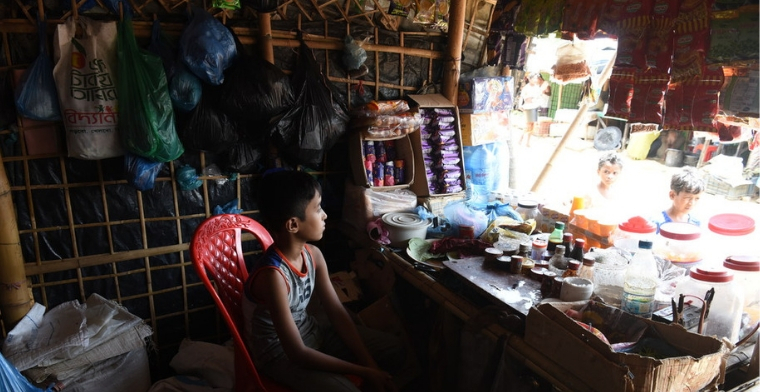 In the lead up to to planned start of the repatriation, more than half the 13,000 children World Vision serve in Cox’s Bazar were staying away from the 12 World Vision Child Friendly Spaces and some families on the repatriation list went missing in or from the camps. Lists had been prepared and buses lined up to remove refugees but in the end, the repatriation was abandoned when the refugees refused to board the buses. World Vision Australia’s Senior Policy Advisor on Conflict and Displacement, Caelin Briggs, who has been working in Cox’s Bazar this year, told Open House the two governments were going about things in totally the wrong way. “The Governments of Myanmar and Bangladesh have made assurances to the refugees and the international community that repatriation will only happen when it is safe, voluntary and dignified. World Vision Australia and other agencies are calling on both governments to stand by their commitments.” says Caelin Briggs. “Refugees have consistently said that they want to return to their own homes and places of origin, or to places of their choice. They want guarantees that they can enjoy equal rights and citizenship.” she says. Humanitarian agencies, including World Vision and the UN, working in Rakhine State in Myanmar and in the Rohingya refugee camps in Bangladesh are united in their deep concern about the repatriation of refugees. The UN has repeatedly stated that conditions in Myanmar are not conducive to return at this time. Refugees continue to flee Myanmar and facilitating repatriation now would be premature. The involuntary return of refugees from Bangladesh to Myanmar, where their lives and safety remain at grave risk, is a violation of the fundamental principle of non-refoulement. They want assurances that the extreme human rights violations they have suffered will stop, and those responsible for the violence they fled will be brought to justice. They do not want to return to conditions of confinement with no freedom of movement or access to services and livelihoods. They fear that these conditions will become permanent, like the situation in Central Rakhine State where 128,000 Rohingya and other Muslims have been confined to camps with no freedom of movement for over six years. Most of all, refugees tell aid groups like World Vision that they are afraid. They fled to Bangladesh to seek safety and they are very grateful to the Government of Bangladesh for giving them a safe haven. However, they are terrified about what will happen to them if they are returned to Myanmar now, and distressed by the lack of information they have received. As the UN agency mandated with the protection of refugees, UNHCR must play a key role in any organized return process, including providing refugees with objective, up-to-date, and accurate information in relevant languages and formats to allow them to make genuinely free and informed choices about whether and when they would like to exercise their right to return, obtaining their consent and monitoring that conditions are safe for return in Myanmar. Hamida at front in red scarf, carries sand to build road in the refugee camp with other women and men in cash-for-work project supported by World Vision. In the Rohingya refugees’ conservative Muslim culture, it’s uncommon for women to work outside the home, especially doing manual labour. But Hamida and her teammates—all young widows—are willing to test tradition if it means making some money to help feed their children. They are among 295 women participating in World Vision’s innovative cash-for-work programme in the refugee camps that are now home to almost 1 million people. Photo credit: World Vision. World Vision and other agencies are calling on the governments of both Bangladesh and Myanmar to uphold their commitments, and ensure that refugees in Bangladesh are able to make free and informed choices about return, based on access to full and impartial information about conditions in Rakhine State. UN agencies should have unimpeded access to all parts of Rakhine State in order to provide this information and to monitor the situation in areas of potential return. For further information about human rights conditions inside Myanmar see the full report of the Independent International Fact Finding Mission on Myanmar published on 18 September 2018. The fundamental principle of non-refoulement is the cornerstone of international refugee protection and prevents the return or expulsion of a refugee “in any manner whatsoever to the frontiers of territories where his life or freedom would be threatened on account of his race, religion, nationality, membership of a particular social group or political opinion.”[Article 33 of the 1951 Refugee Convention]. Even States that are not signatory to the 1951 Refugee Convention are bound by the principle of non-refoulement which is a recognized principle of customary international law. Human rights law (the 1984 UN Convention Against Torture, and the 1966 International Covenant on Civil and Political Rights) also prohibit the return or expulsion of a person to a country where they would be in danger of torture or persecution. For more information click this link UNHCR Note on the Principle of Non-Refoulement. For more information on international standards relating to Voluntary Repatriation, see UNHCR Handbook on Voluntary Repatriation. To listen to the podcast of this conversation click the red play button at the top of the page, or you can subscribe to Open House podcasts in iTunes and they will appear in your feed.